Hillary Ivy Pritchett was born on July 25, 1912 in Pike County, Alabama to a family of ten. They maintained a family farm where Hillary’s father, William Pritchett, relied on his children’s labor to fulfill duties around the farm. In fact, in the 1920 federal census, William listed six of his eight children as farm workers (Hillary, eight years old at the time, and his sister Annie, six years old, were presumably too young to participate). Hillary did not further his education beyond grammar school. In 1923, at age eleven, Hillary lost both his mother, Neomia Boutwell, and his younger sister, Annie. According to the 1930 federal census, Hillary moved to Columbus, Georgia with his older sister, Elma, by the age of 17. The home they rented at this time was valued at $20.00 and there were only ten other houses in their town, a clear indication that they were living in a small community. To make ends meet with the onset of the Great Depression, Hillary entered the foundry industry. 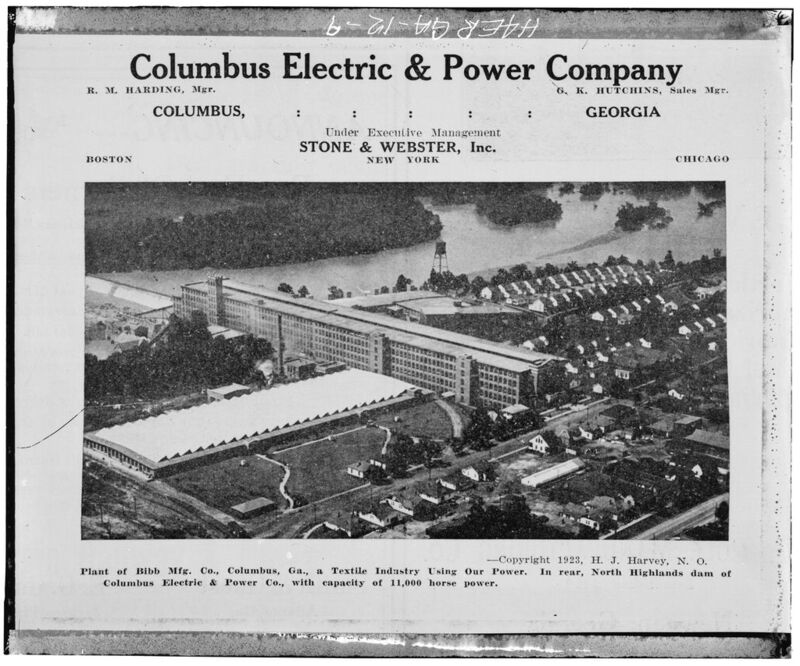 Though there are no records to verify, Hillary likely worked at the Bibb Company, a local electricity producer. It was the only workplace of its kind in close proximity to Hillary that corresponds to his reported occupation in the census. Prior to his enlistment in 1942, Hillary moved to Duval County, Florida. When the U.S. entered World War II in December 1941, the states mobilized. Prior to enlisting, Hillary Pritchett had three distinct hometowns and each of them served a unique purpose during the war. Most known for housing Fort Benning, the “largest infantry training school in the world,” Georgia not only trained soldiers for the war effort but made immense contributions within the manufacturing sector. Hundreds of ships were constructed in Brunswick and later utilized in transporting goods and soldiers to the European and Pacific theaters. Recognized today as one of the greatest tourist centers in the world, Florida was not always “open for business.” Alongside the wartime mobilization that prevented many the opportunity to travel for pleasure, hotels near Florida’s coast were ordered to blackout during the night. This degree of wariness arose out of fear that the lights would silhouette the ships at sea and thereby make them an easy targets for German U-boats that operated in the area. Shipbuilding became a priority for manufacturers around the state; in fact, the city of Orlando produced approximately 9,000 assault boats that were later used in amphibious operations such as Operation Overlord. To test this technology and train the soldiers for said operations, over 200 military bases were established throughout Florida. The Carrabelle and Miami beaches were two sites that, in 1943, served as optimal training locations for amphibious landings. On April 8, 1942, Pritchett enlisted in the U.S. Army at Fort Barrancas, Florida. His term of enlistment was originally designated for the Philippine Department. 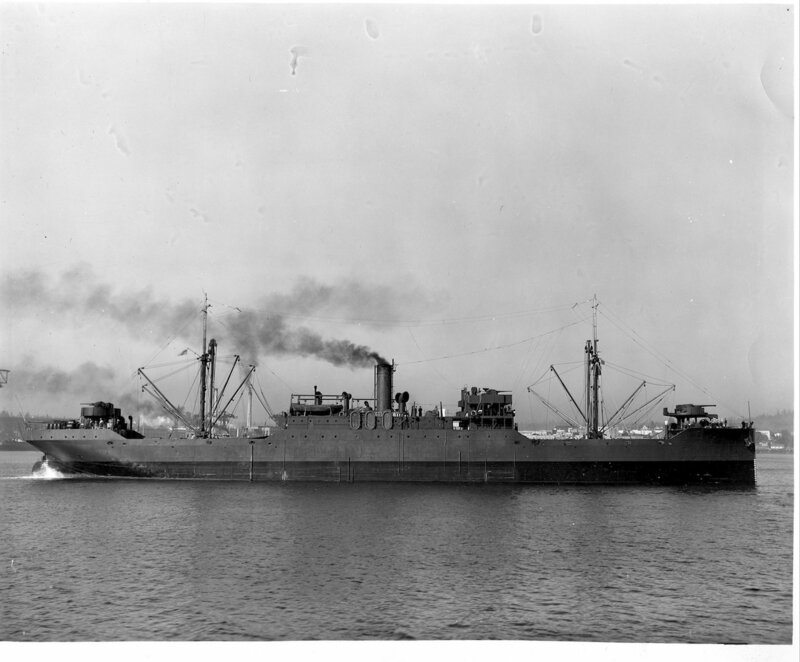 On November 15, 1942, Pritchett boarded the USS Spica. He helped to transport supplies from Seattle, Washington to Kodiak, Alaska. The 23rd Armored Engineer Battalion was first created in 1917. The regiment’s duties included easing ground movements for troops and deterring the movements of enemy divisions. They quickly became known as “Road Builders” for their excellent work in France during the last two years of World War I. On April 15, 1941, the battalion was reactivated at Camp Beauregard, Louisiana, under the 3rd Armored Division. In September 1943, the 23rd Armored Engineer Battalion sailed for Europe and arrived in the United Kingdom where they were stationed at Fonthill Bishop, Wiltshire. At this location they participated in maneuvers along the coast as well as over Salisbury Plain. Pritchett participated in such activities, preparing him and the other men for their impending work in Normandy. On June 23, 1944 the 23rd Armored Engineer Battalion, led by Lieutenant Colonel Lawrence G. Foster landed on Omaha Beach and began their journey west to Saint-Lô. They immediately encountered issues with Normandy’s many hedgerows. The 23rd Armored Engineer Battalion’s goal, as stated in the After Action Report for July 1944, was to “continue attacking south for ten days...using tank dozers and demolitions to get tanks through hedgerows.” Foster’s men achieved this goal by creating a double-blade hedge cutter that they attached to the tanks. This solution proved extremely effective. The 23rd Armored Engineer Battalion built and repaired bridges in Normandy as the Allies pushed further into Saint-Lô and other parts of France. As the battle of Saint-Lô continued, the battalion moved near Corbeil, France and bridged a number of streams. During these operations on July 18, 1944, Sergeant Pritchett was severely wounded in battle. He was immediately hospitalized. While at the hospital Pritchett was also treated for appendicitis. Pritchett transferred to a newly created division, the 389th Military Police Battalion, after his release from the hospital. This regiment handled German Prisoners of War (POWs). The men in this unit were specifically ordered to search captured Nazis and detain them. Additionally, once the enemy soldiers were detained in the Normandy Base Section, the unit would guard the POWs. On March 23, 1945, the 389th Military Police Battalion was ordered to Le Havre. On the way to this destination, in Le Mans, Sergeant Pritchett was killed in a vehicle accident. His body was temporarily buried in Saint-André-De-L’Eure. Hillary Pritchett’s next-of-kin, his sister Elma, was not notified of his death until December 1945 because the War Department had initially sent the notification to Hillary Pritchett’s ex-wife, Florence. Upon receiving word of her brother’s death, Elma requested that he be buried permanently in France. On June 2, 1949, his remains were transferred to his final resting place, Normandy American Cemetery. Sergeant Hillary Pritchett was born on July 25, 1912 in Pike County, Alabama. He was one of eight children that lived on his father’s farm where they primarily practiced subsistence farming. Pritchett did not receive schooling beyond that of grammar school. At the age of 11, he lost both his mother and younger sister. By 18, the U.S. had entered the Great Depression and Pritchett’s family farm suffered terribly from this economic downturn. He and his sister decided to move to Columbus, Georgia. In this town, Pritchett worked as part of the foundry industry with a local electricity producer called the Bibb Company and used his earnings to support both his sister and himself. 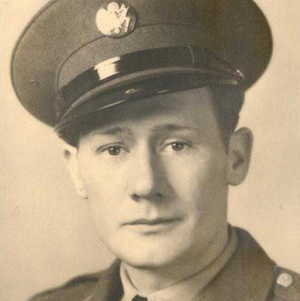 Prior to his enlistment in 1942, Pritchett moved to Duval County, Florida. Sergeant Pritchett served with the 3rd Armored Division, 23rd Armored Engineer Battalion. On June 23, 1944, he landed on Omaha Beach and took part in the battle of Saint-Lô. He was wounded in battle on July 18, 1944 and immediately hospitalized. Upon his release, he was transferred to the 389th Military Police Battalion, a newly created division. Within this division, Pritchett was responsible for handling Prisoners of War (POWs). On March 24, 1945, Sergeant Pritchett was a victim of a vehicle accident. He died from a skull fracture near Le Mans, France. Delving into Sergeant Pritchett’s story has taught me that those who served in the war, each and every soldier, had personalities, hobbies, jokes left to tell, and loved ones they wished to embrace in their arms once again. Although World War II may still be viewed by some as solely another point in history, we must never forget that behind the United States engagement in the war were thousands of brave soldiers who sacrificed their lives to protect our freedom and peace. And for those sacrifices, their lives, stories, and memories will never be forgotten. May Sergeant Hillary Pritchett rest in peace, and for his bravery, we thank him. 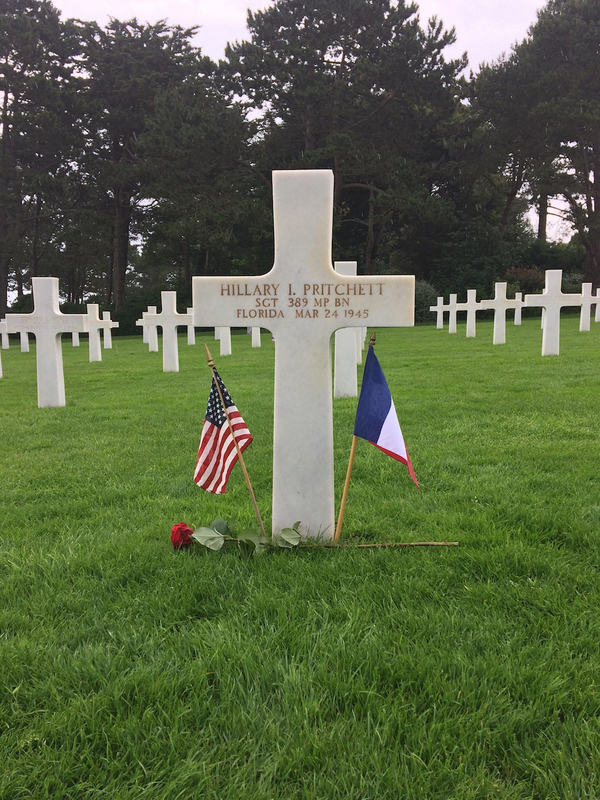 The Normandy: Sacrifice for FreedomⓇ Albert H. Small Student and Teacher Institute was absolutely life-changing. Prior to this experience, I had never traveled to Washington D.C., let alone travel overseas to France. As a student from a low-income background, my historical studies and research have been limited to primarily online resources and I seldom have had the privilege to travel outside my home state of Florida. Attending the Institute conferred upon me a greater sense of place that I was able to connect to my research and readings. Not only did the readings, such as Ugo Giannini’s Drawing D-Day, heighten my geographical understandings but they also highlighted the soldier’s stories and hardships. By engaging in critical readings of texts like those, I began to see the immense sacrifices that the soldiers endured to secure our peace. Additionally, the Institute taught me to redefine the cost of freedom and consider issues from all perspectives. This lesson was especially evident while we were in D.C., receiving a lecture from Art Historian Dr. Kate Lamay, who made us consider why the French would construct a German cemetery on their land. Participating in such discourse showcased that there is always another perspective to consider and, while it may usually be overlooked, it is wrong as historians to do so. Visiting various sites throughout Normandy, I not only strengthened my understanding of geographical barriers, like that of hedgerows or changing tides, but I gained a newfound appreciation for those who made the ultimate sacrifice for freedom. The Normandy American Cemetery was especially powerful. Rubbing sand onto my silent hero’s headstone, from the beach where he landed in 1944, made his name stand out to others passing by. Having people stop and see his name, or listen to eulogy I wrote for him, brought his story to life and his brave sacrifice for our country to light. 3rd Armored Division, 6 August 1944; World War II Operations Reports, 1941 - 1948, Records of the Adjutant General’s Office, 1917-, Record Group 407 (Box 12307); National Archives at College Park, College Park, MD. 389th Military Police Bn General Orders, 15 March 1945; World War II Operations Reports, 1941- 1948, Records of the Adjutant General’s Office, 1917-, Record Group 407 (Box 17516); National Archives at College Park, College Park, MD. As part of the routine handling of prisoners of war at Third Army Headquarters, military police search captured nazis in an enclosure. Photograph. October 24, 1944. National Archives and Records Administration (233243). Image. Hillary Pritchett, Individual Deceased Personnel File, Department of Army. History Of The Office Of The Provost Marshal, 1944-1945, Headquarters, European Theater of Operations, U.S. Army (World War II), Record Group 0498 (Box 4886); National archives at College Park, College Park, MD. A newly captured German prisoner, taken by the 44th Division, is put to work collecting articles which are taken away from other prisoners, such as knives, belts and other sharp objects. The prisoner is shown dumping these artifacts in a pile. Sabrebourg area, France. Photograph. November 22, 1944. National Archives and Records Administration (199989). Image. Terrain Studies & Maps -- 23rd Armd Engr B, 1944-1945, Records of the Adjutant General’s Office, 1917-, Record Group 408 (Box 12308); National Archives at College Park, College Park, MD. “Florida During World War II.” State Library and Archives of Florida. Last modified 2013. Accessed July 17, 2017. https://www.floridamemory.com/onlineclassroom/floridawwii/photos/. Hardin, Anderson J., and C.P. Cosman. “Alabama and World War II.” ADAH: Alabama Moments, Alabama Department of Archives and History. Last modified 2003. Accessed July 17, 2017. http://www.alabamamoments.alabama.gov/sec50det.html. “Hillary I. Pritchett.” American Battle Monuments Commission. Accessed February 20, 2017. https://www.abmc.gov/node/412733#.WaAB45VK3X4.